Looking for a cheap NOW TV box? This page has all the best NOW TV deals from Tesco, Sainsbury's, ASDA, Curry's and more. 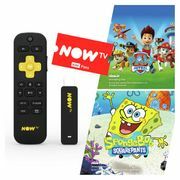 We find the best value NOW TV passes, whether that's standalone or as part of a package, and share them with you to help save money. We're a community of bargain hunters who love posting discounts. If you find a good deal, share it with us here.